The goal of our office in San Francisco is to provide gentle and caring dental treatment in a warm, friendly environment. We believe that a visit should be a relaxing and pleasant experience. Serving downtown San Francisco, including Union Square, Chinatown, Yerba Beuna and the Financial District, we pride ourselves on providing our patients with excellent dental results performed with the utmost medical integrity. With exceptional listening skills, personalized care and a very gentle touch, Dr. Li is highly skilled at treating patients who are fearful of the dental office. 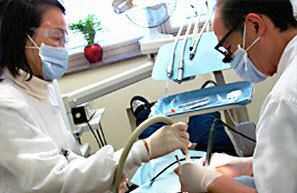 We invite you to come meet us and find out why so many recommend our services. With more than three decades as a dentist in San Francisco, Dr. Norberto Li has the knowledge, experience and gentle touch you can trust when it comes to caring for you and your family. 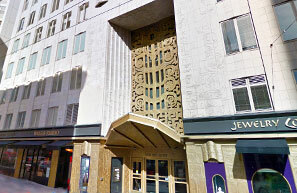 Located just a block from Union Square in the beautiful, elegant, art-deco landmark building at 450 Sutter Street, we have convenient public parking readily available, with bus and streetcar stops nearby. English: Welcome to our office. Spanish: Bienvenido a nuestra oficina. Vietnamese: Chào mừng bạn đến văn phòng của chúng tôi.